I've decided put my Facing East blocks on hold for a bit... but with good reason. 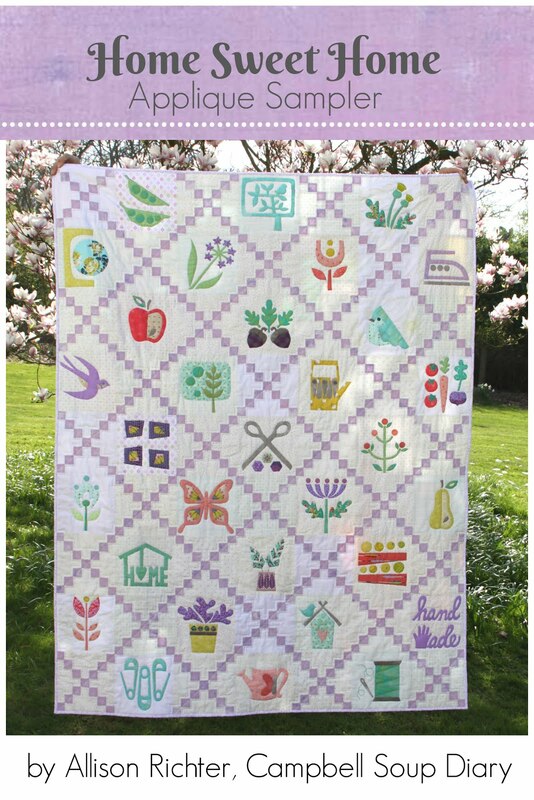 It has become painfully clear to me that I really need a quilt design wall if I'm going to get very far. I give up with trying to keep things small, as was my original goal. In keeping with my usual dilemma, I always think... "well, if I've come this far, then why not go all the way?" It may seem that I am the ONLY one out there that has not made the Super Tote bag from Noodlehead, but I decided to remedy that. I started out using other snippits of this fabric, but decided the colors were too muted for a favorite purse and decided to mix it with the new Cotton & Steel fabrics. My favorite little telephone print is framed out and in focus using the inner star from this free tutorial. I've already finished and quilted the front side by simply outlining the star and shadowing the shape on the rest of the piece. ... and here's the start on the back. It's always amazing to me the "shrink" that you experience once the blocks have been sewn together. 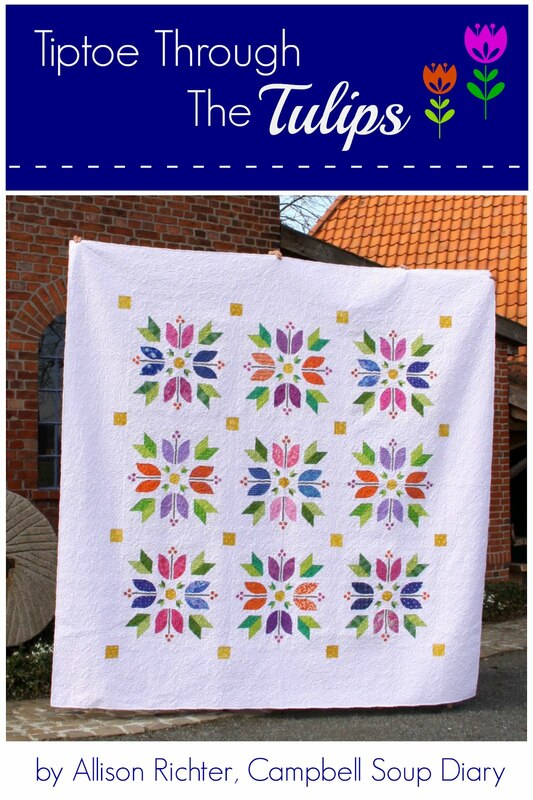 This is the mini version of the Mayflower Block from the Vintage Quilt Revival book that left the internet all ablaze last year. So tell me, what fabrics are in your "special stack"... any plans for them this year? 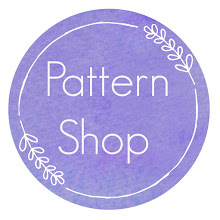 Linking up later to WIP Wednesday. I really love the fact that some of the modern sewing books that have been published recently are embracing the art of sewing from the core of it's very humble beginnings... stitching by hand. 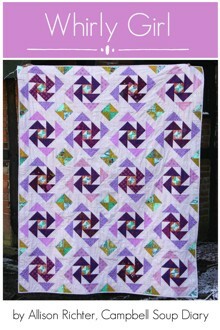 I've always had the utmost and highest respect for the hand quilter. For me, WOW, goes without saying. When I look at almost everything that Anna Maria Horner puts her hand to, digging back to her generational roots, it really makes me realize that this woman really has it in her to the very core of her being! 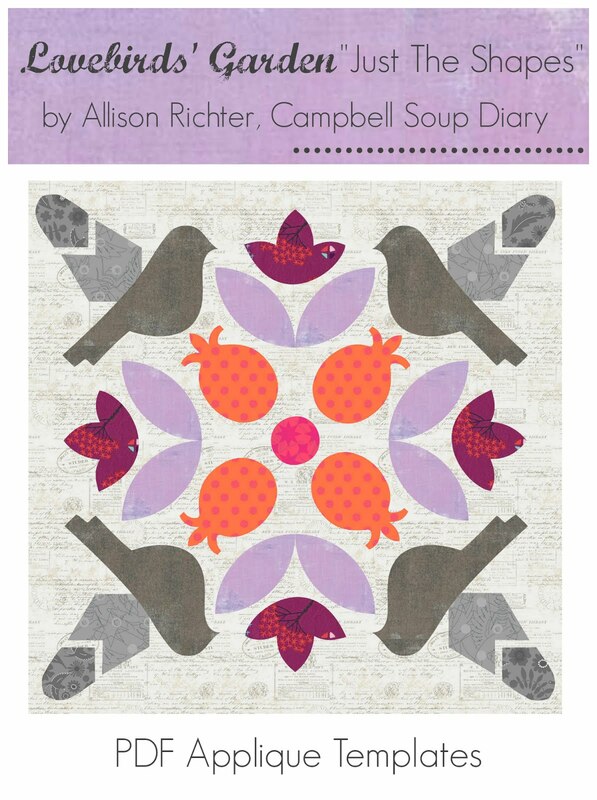 Carolyn Friedlander's new book Savor Each Stitch, really encourages just that, and in her recent book, Applique, the Essential Gudie to Modern Applique, Alison Glass even subtitled her "Fountain" quilt, "this could take a while". Isn't it refreshing that such modern designers, who have been told by today's society that being domestic is not "in", make such efforts to not only preserve the art of handiwork, but take it to the next level? While my appreciation for the "art of doing it by hand" goes deep, I unfortunately belong the microwave generation. If you want something hot it's very simple... one short minute... ding... eat! With that being said, the very thought of needle turn applique has been haunting me since I started my "Facing East" blocks. 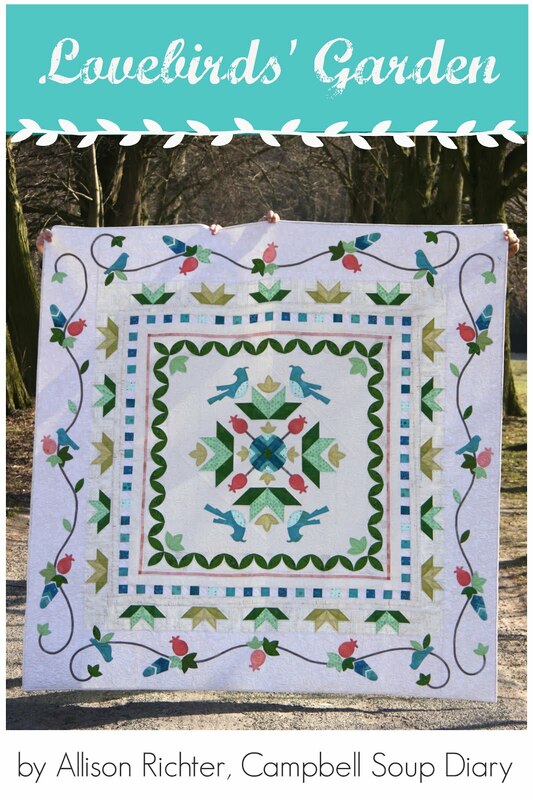 So I looked for a compromise to my dilemma... how to make the center circle for the Facing East blocks using another method other than needle turn applique? At my husband's encouragement, I decided to make the center circles slightly smaller. It was kind of fun pulling out school tools for the task. I then I remembered a tutorial by the "queen of do-it-by-hand" herself... using this great little tutorial that Ms. Horner came out with back in the Chocolate Lollipop days. Make a circle template, place the template on top of fabric, wrap it up in foil, and iron it in place. I attached the centers using a blind stitch on my sewing machine, and DING... ready for the next one. What about you, do you like to savor the WHOLE process of quilting, including quilting by hand, or is the microwave version more your thing? 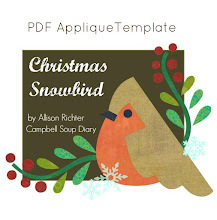 Linking up with WIP Wednesday this week found here. I've been thinking about color a lot lately. We all have a tendency to gravitate towards certain colors, while perhaps we avoid other colors... and we all probably have our reasons why, whether we realize that reason or not. A while back someone pointed out to me that the majority of my fabrics stem from two main colors: green and shades of pink. After having considered it, I came to the conclusion that there might be some truth in it. I really noticed recently when I sorted my fabric stash by colors... and there it was staring me back in the face! My favorite color has always been green, even as a little girl. I never went through the "pink is my favorite color, therefore EVERYTHING must be pink" phase. When I think about green I think about life, spring, new, growth, nature, and think it's the one color that somehow makes everything complete. Looking at the color wheel, perhaps I might make the natural gravitation unknowingly to the complimentary color of green. Even though I embrace lots of colors, especially bold colors, the two colors that I somehow seem to avoid are red and blue, especially in combination with each other... and I'm not even really sure why. It's true that I see the repetitions over and over again with my fabrics choices, but when I consider my clothing choices or how I decorate my home, that is a completely different equation. I once had someone tell me about people that can see color while listening to music. (you can read about it here) It was an exciting thought to think about multiple senses being connected in such a way. There are even some that claim that they can taste, hear, and smell color. Wow, can you imagine experiencing color with a sense other than sight?!? Taking that into consideration, it's been fun for me to think of color in a completely abstract way that perhaps the way we combine colors might even be like a song. Each song is different, each song unique, and each song is our own. Sometimes a favorite color combination might be like singing your favorite, old familiar song. So what's your color song? ...slow but sure progress on my paper piecing project, but linking up to WIP Wednesday nonetheless. 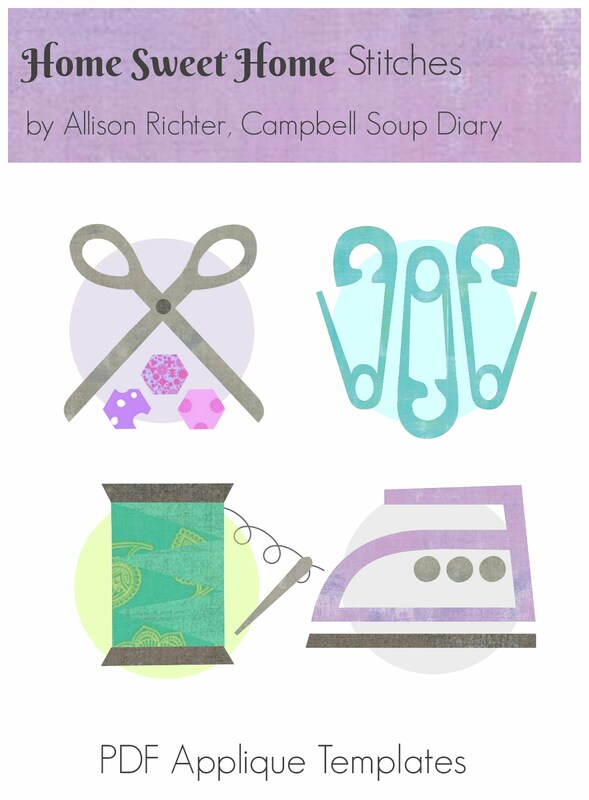 I've been a long time Sew Mama Sew reader and have always liked Kristin's blog concept, as well as the great quality tutorials, sewing tips, and relevant trade news that satisfy our ever growing creative hunger. It has been her goal since the very beginning, that the Sew Mama Sew website is the first place that people start when looking for sewing inspiration. 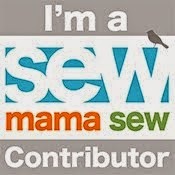 So, of course, I couldn't be any more excited to let you know that I am now a contributor, and a part of that concept. 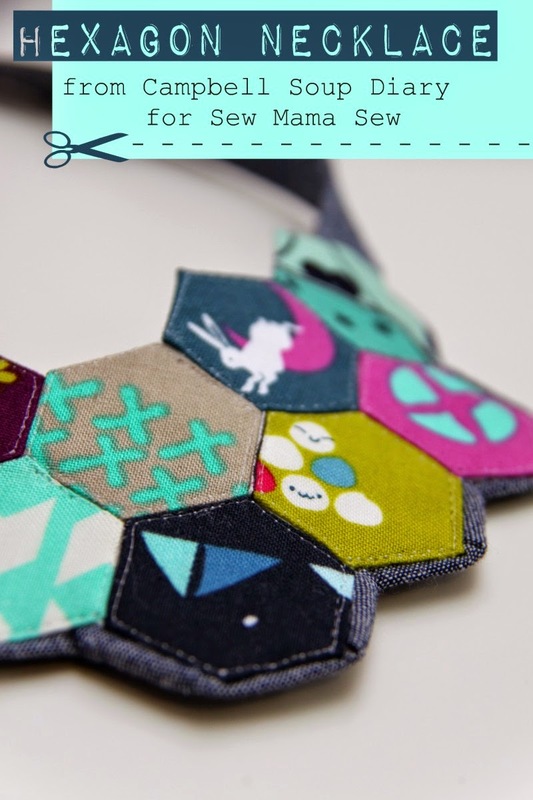 For all the details, materials list, and the how-to for my Hexagon Necklace, be sure to stop by the Sew Mama Sew website! 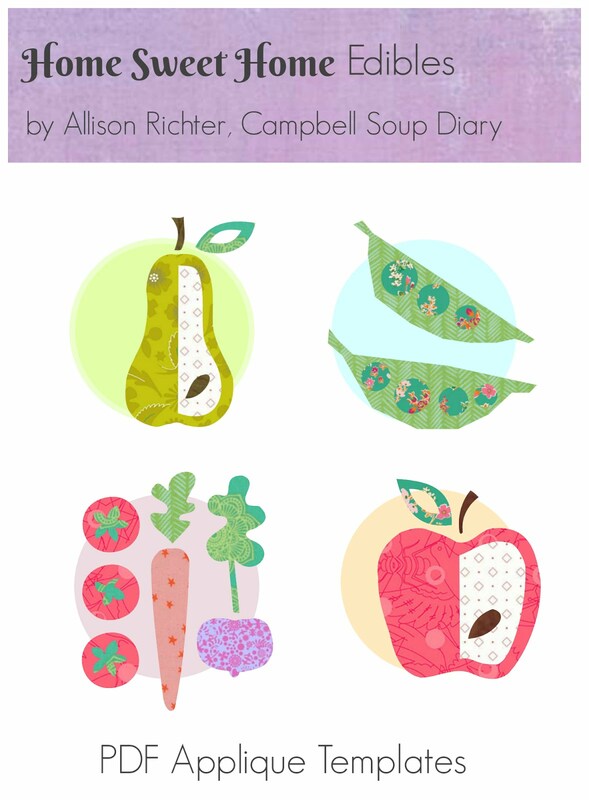 Fabrics: "Mochi" fabric collection from Rashida Coleman-Hale for Cotton & Steel Fabrics. Sometimes the hang-up in being creative is that it is easy to be all over the place and the next new project idea is an all too frequent distraction. I suffer from this in a big way. Even though I am not a let's be disciplined about making a long list of New Year's Resolutions kind of girl, (hmmm, very fitting to this time of year) I do have some creative goals/challenges to reign myself in a bit. "Santa" (aka Hubster) was very nice to me this Christmas in giving me two books from my wish list... now how did he know it was exactly what I wanted?!? 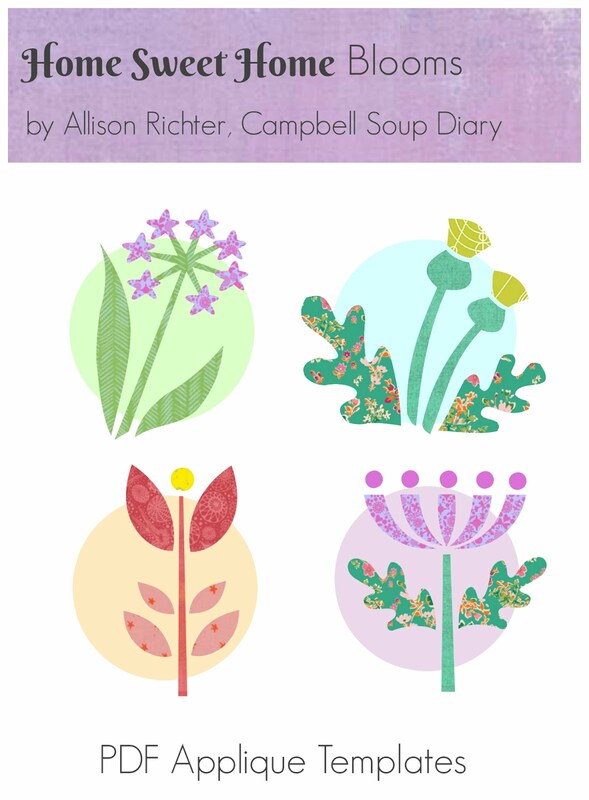 Even though I don't buy sewing and craft books very often, I'm totally excited about adding the new books from Carolyn Friedlander, Savor Each Stitch, and Alison Glass Applique to my small collection. 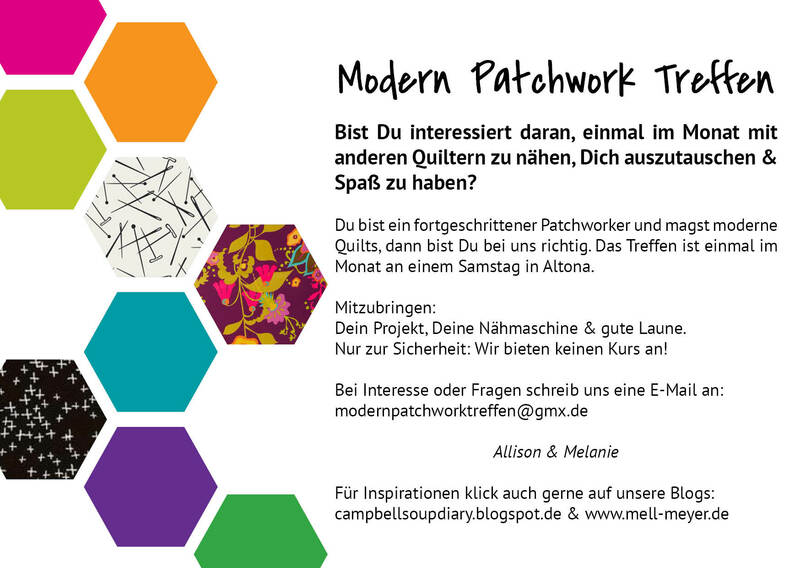 Perhaps it might be interesting to know that I´ve been stalking the quilting scene as a quiet and non-participating observer for a very, very long time. My skills and knowledge are there, but I haven't trusted myself enough with my focus to jump in. You, know... just a toe in the water kind of thing. Well, I've jumped in now and have hit hard. I'm finding that I really enjoy the process, but putting my projects to the side (because who finishes a quilt in a day, right?) feels a little undisciplined and like I have too many UFO's in the works. But with that being said, I had a Eureka moment while flipping through one of my books. One book gives a variety of project size options from mini to small, medium and big, and then it hit me... I think that I would get the most satisfaction out of exploring a variety of quilting techniques if I don't try to eat the whole whale all at once, but instead get full on a variety of little mini appetizers. If you happened to miss my figurative language here... essentially it is my goal to take on lots of little bite size projects before I tackle my "whale". 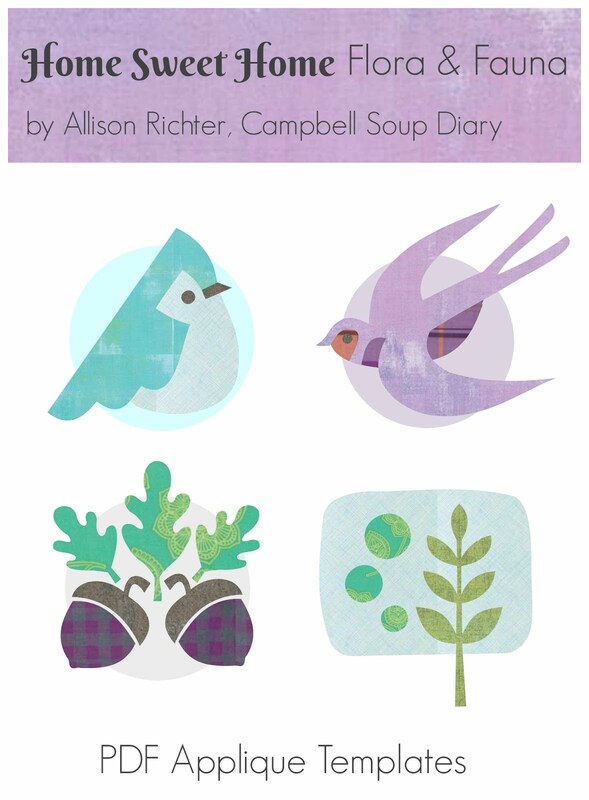 to finish at least three sewing projects inspired from each of my new books. That's six in total, not including other projects along the way. So, here I am (surprisingly) already done with a couple blocks from the Facing East quilt from Carolyn Friedlander. I've read a lot that paper piecing can be the scary monster that keeps people from buying certain patterns or books, but now that I've gotten a few blocks under my belt, paper piecing has become somehow a little more mouse-like. So, start at the beginning, and then go! 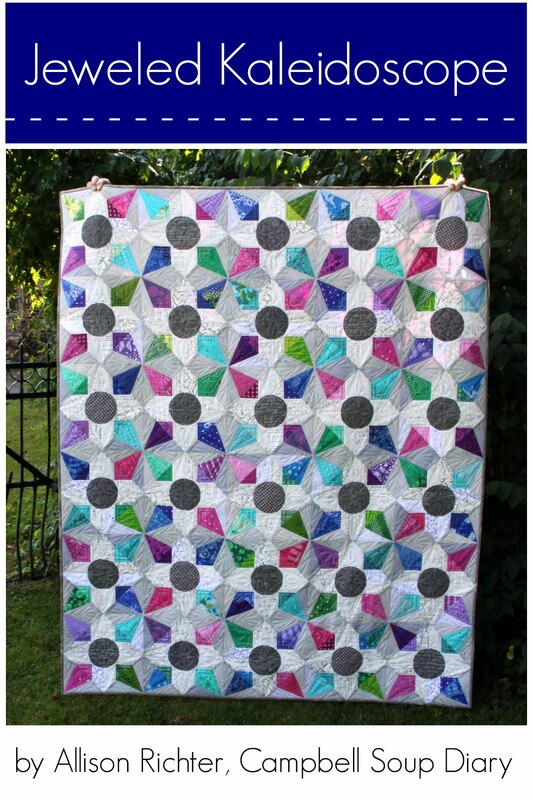 ... and another new beginning is a first time link-up for me for WIP Wednesday on Freshly Pieced's blog. What are you working on?